Views out our hotel window (the name of the hotel escapes me at the moment, but will be posted shortly), which looked out onto the Plaza de España. 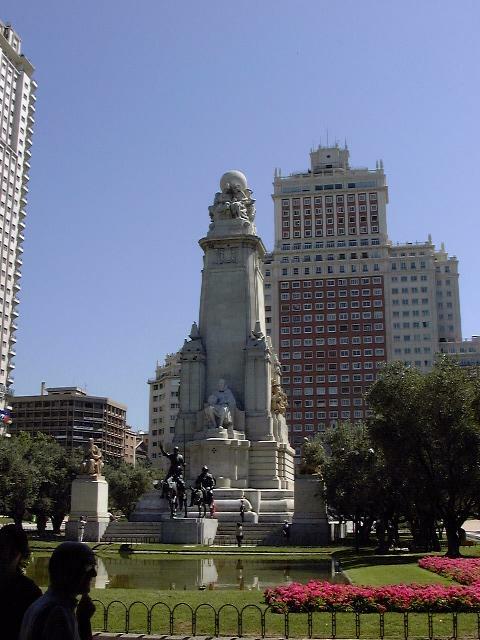 In the Plaza de España is a monument to the author Miguel de Cervantes. 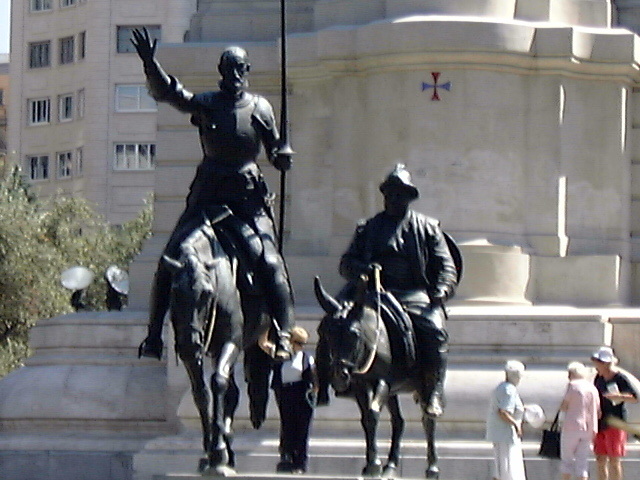 It contains statues of characters from his stories, including Don Quixote and Sancho Panza, shown here. 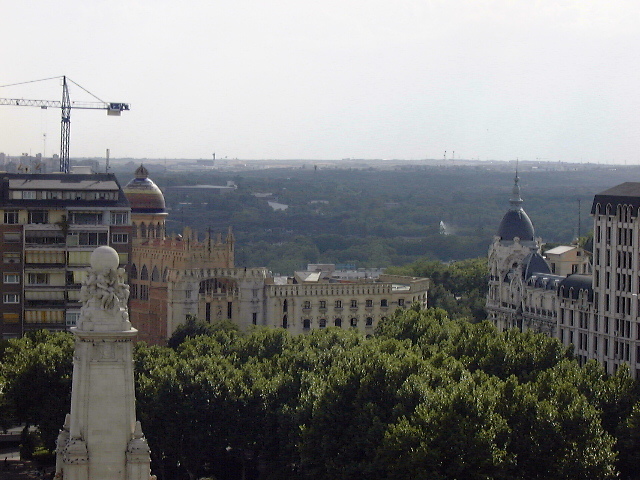 The large reddish-brown building behind the monument is our hotel. We ran into this by accident while trying to find a subway station. 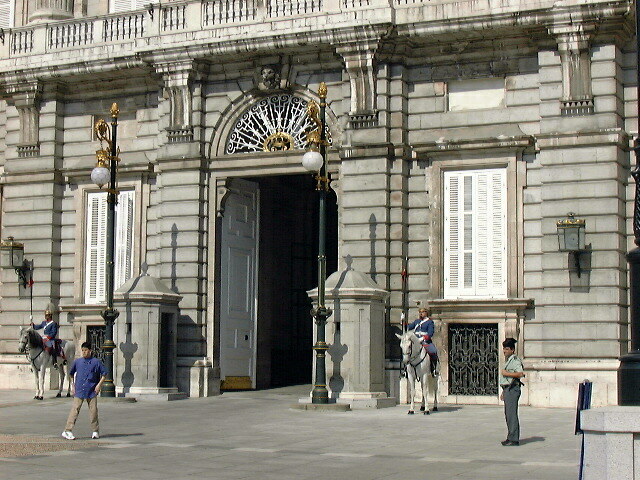 Spain is like that; everywhere you turn you smack headfirst into something historical. One of Europe's renowned art museums. We went to see works by Velázquez, Goya, and Hieronymus Bosch (the Spanish call him El Bosco). 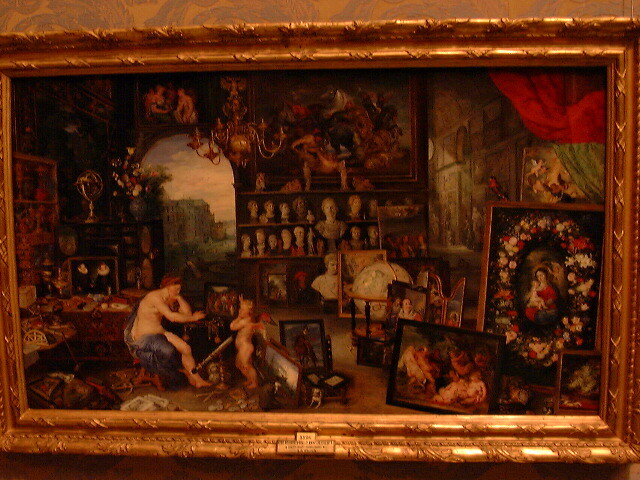 Unfortunately, Velázquez's Las Meninas, Goya's Majas, and the two side panels from Bosch's The Garden of Earthly Delights were all off exhibit for restoration, but we still got to see plenty of neat stuff. No flash photography was allowed in the museum, so that's why these pictures are dark. 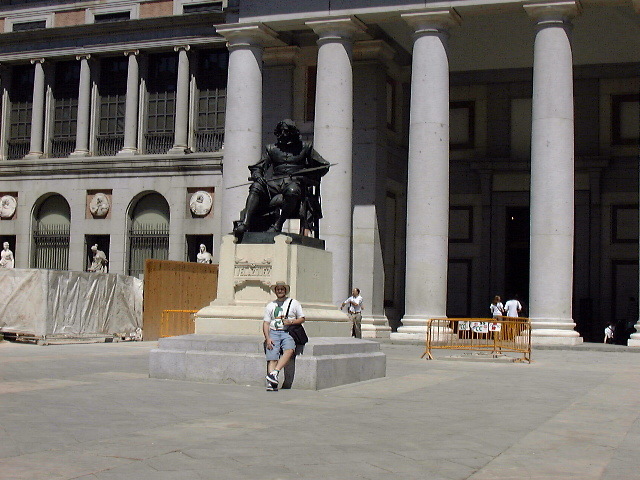 The outside of El Prado, with some obnoxious American next to the statue of Velázquez. 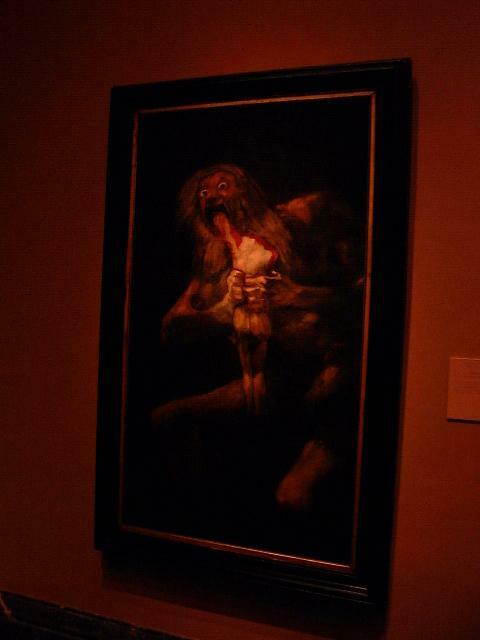 Goya's Saturn Devouring His Children, from his black paintings. We had to help a group of American ladies decipher which painting was which in order to preserve a sliver of our national dignity. 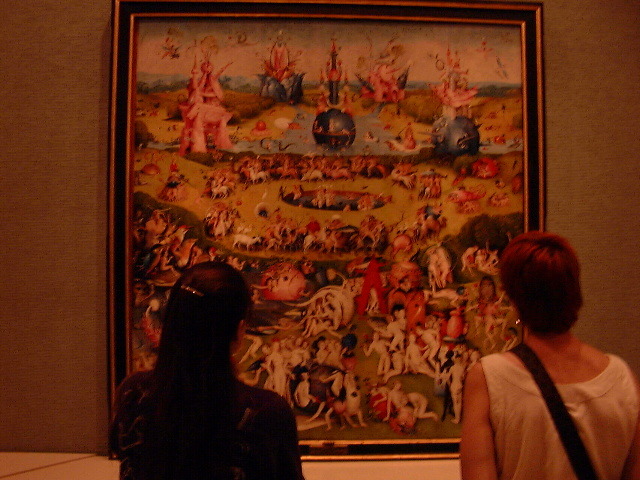 Megan (on the left) examining the center panel of Hieronymus Bosch's The Garden of Earthly Delights. 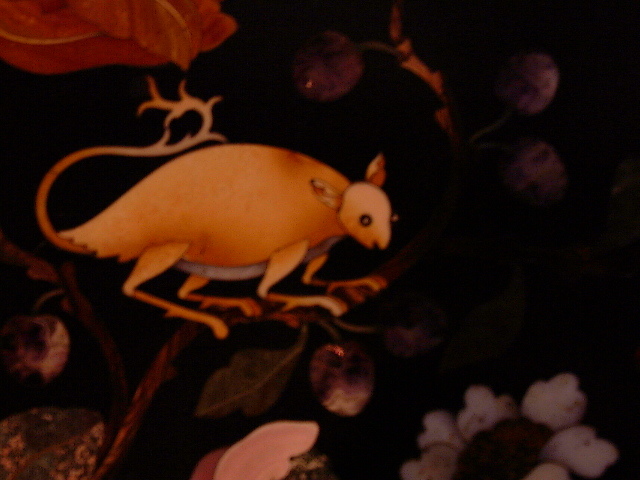 We don't remember the name or artist on this one, but Guy and his family did a jigsaw puzzle of it once. What is this rodent thing? We don't know either, but someone went to a lot of trouble to make it a detail on a large inlaid table. 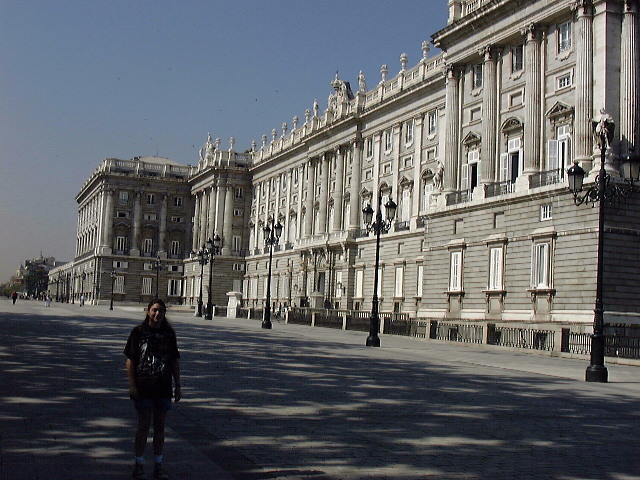 This was a private park for the royal family from 1632 - 1869. 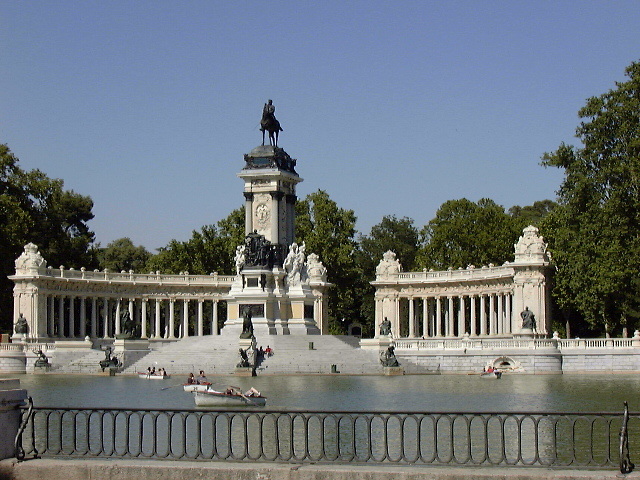 It contains a lake and several gardens. 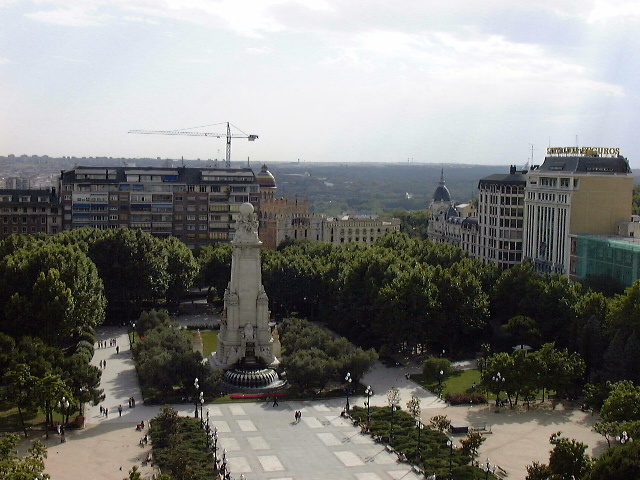 A monument to Alfonso XII, built in 1901. It faces the park's boating lake. The architecture garden contained many small buildings in different styles. 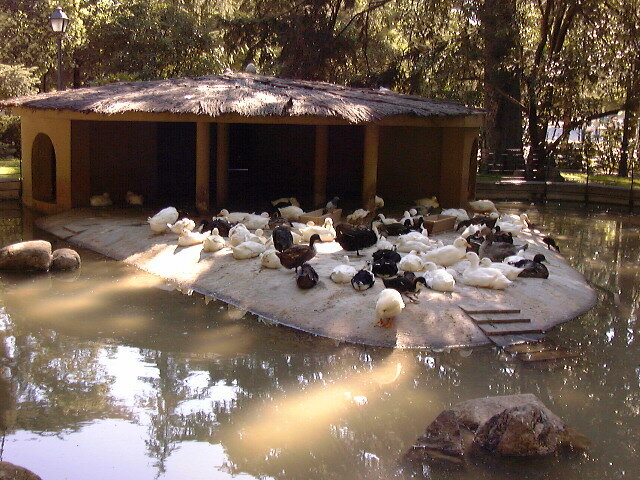 We liked the duck house the most. 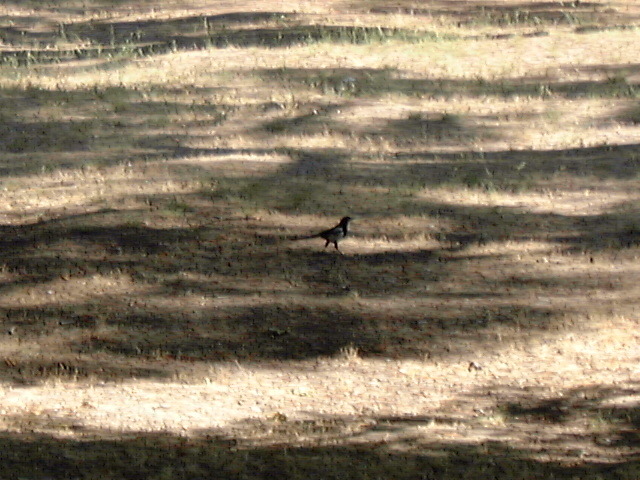 A mysterious bird that attracted our attention while roaming the park. 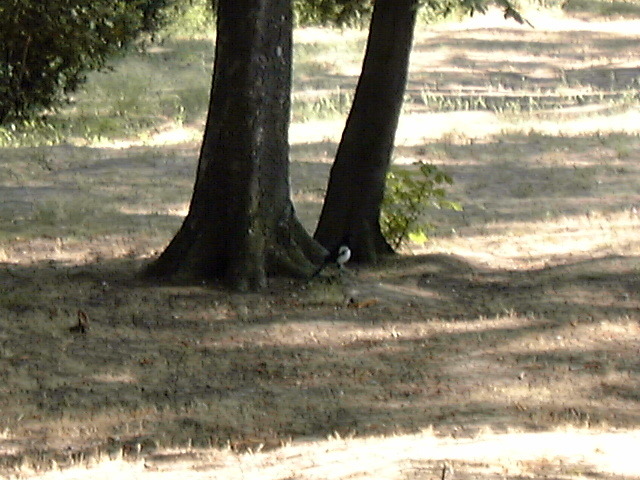 We haven't yet found an ID guide for European birds to track down what it was.